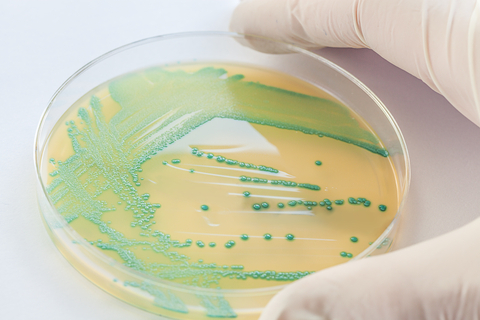 You might hear people droning on about antibiotic resistant bacteria: “This strain’s over here! Another strain is over there!” but rarely is there a face on it. In fact, those most at risk (people in retirement homes) are having their infections, the clusters of outbreaks, go unreported, or just downplayed. But the war is here, now, and probably already in your home. It’s just that when our immune system is weakened (like in old age) that we most become aware of what’s going on in the microbial world around us. And next year, things are projected to get demonstrably worst. Some superbug experts say we’ve already gone past the tipping point, since an easily shared gene giving bacteria protection against our last functioning antibiotic has spread around the world. Others are saying next year will be where the explosion happens, as the breeding ground for antibiotic resistance (preventative use in animals) exceeds recommended use (saving it for confirmed infections). Either way, you don’t have to sit back and watch terrifying headlines roll in. -Start with hand washing. It prevents infection, and is the best weapon against antibiotic resistance. -Buy organic. Animal husbandry and the overuse of antibiotics is credited as the number one source of antibiotic resistance, and when farms stop those practices, antibiotic resistance fades away (in the meat, and in the surrounding towns!). -Advocate for yourself with your doctor. Overworked doctors are sometimes ready to hand out prescriptions for antibiotics to patients who don’t need them, because they know they’re expected to do something. But many common infections, like sinus infections, are rarely bacterial, and antibiotics do nothing for them (except breed antibiotic resistant bacteria on the patient!). -Advocate for older relatives. The older we get, the more we’re in and out of the hospital, and for some, antibiotics are standard care, even if the truth is they can trigger a downward spiral (you need those gut bacteria!). Follow up on illnesses and the suspected source, too, with their caregivers to help increase accountability for the spread of superbugs. -And finally, give yourself some immune support with colloidal silver. Colloidal silver works as either a daily or sometimes supplement to help support your immune system, skin, and beyond.